We can’t get enough of covers — especially when they involve the audience. 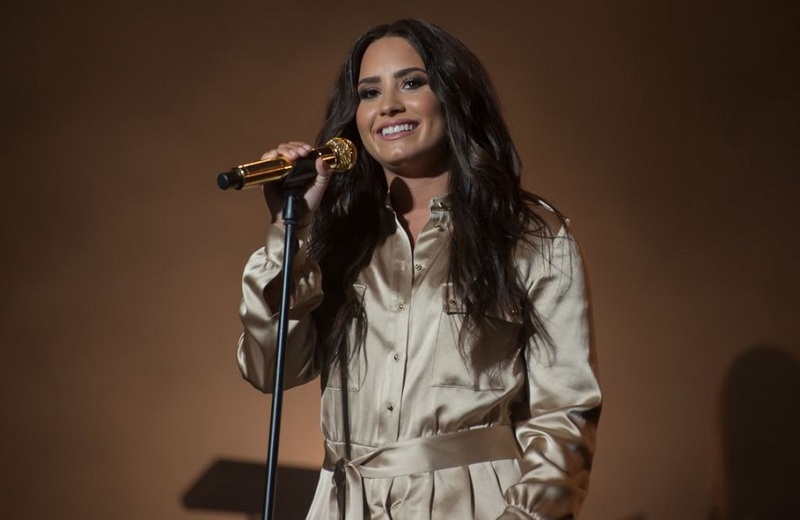 At a recent Emo Nite event, Demi Lovato covered Paramore, and the entire crowd sang along with her. The entire video of the song is pretty heartwarming, and shows that Lovato loves to have a good time. The song she covered was Paramore’s big hit “Misery Business,” and fans of the band know that you’ve got to have stellar pipes to hit the high notes. When Lovato sang, she made it clear that she’s truly a professional. We have a feeling that if Hayley Williams caught this video, she’d be pretty impressed. Know what makes the performance even better? It occurred after the venue lost sound. Emo Nite, which takes place in Los Angeles, was started up by music fans Morgan Freed, Babs Szabo, T.J. Petracca. Their goal isn’t to create music, but to create a musical environment where fans can gather to enjoy the hits they love. The three also have an Emo Nite retail store open. Needless to say, they were pretty psyched that Lovato continued the party even with the minor inconvenience. It definitely made the event a night to remember. As for Lovato, we’d love to hear more covers from her in the future!